I am a foundation Junkie! I own far too many. 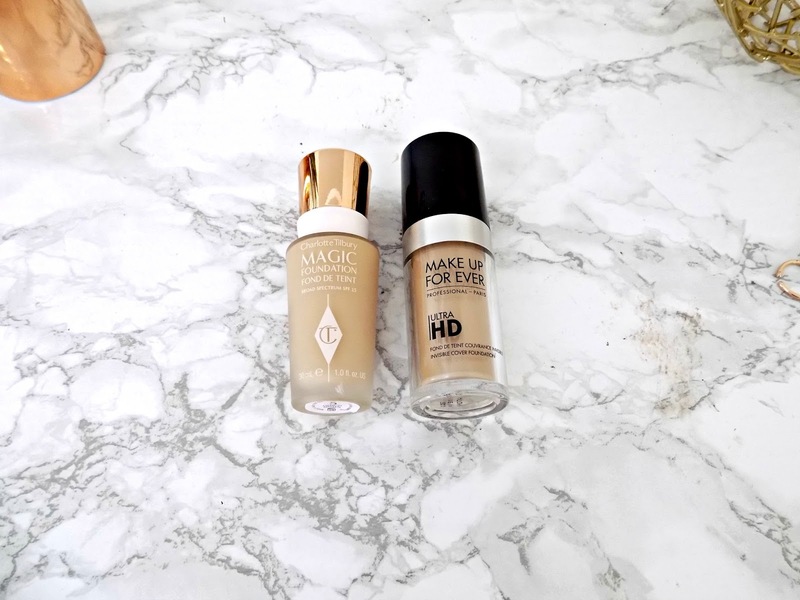 I get so excited by new foundations in the hope they will give me flawless skin! I've tried a fair few high-end options so I thought I'd give a little round up of a few I love, don't love so much and the ones that should be avoided. For reference I have dehydrated skin, that has turned more normal in the warmer weather. This is one of my favourite, all time favourite foundations. It's a hybrid foundation that combines the benefits of a moisturiser as well as a foundation. I didn't find this was like a tinted moisturiser at all though. It's more like a really great lightweight, hydrating foundation. It gives light to medium coverage with a super glow-y finish. It's also really hydrating and sits beautifully on the skin. And blends out with ease. This stays put all day on me even without powder! I can't recommend this enough. It's amazing! This offering from Urban Decay is so under rated! I love it. The consistency is very watery but it still gives a medium coverage. It blends so easily and looks so natural on the skin. It has a demi matte finish. This again lasts all day on me. I have the shade 4 which is an ok match, I probably could have done with a shade or two darker, but it's nothing bronzer doesn't sort out. This is a relatively new addition to my foundation family but it's quickly become one of my favourites! I was bit apprehensive with it being a stick foundation. My past experiences with this type of foundations have not gone well, they've all been thick and cakey. But this is so lightweight! It's super easy to apply, and the creamy formula means it blends out really easily. The finish is so natural, it really does look like flawless skin! I have heard some people say it doesn't last well, but I have no problems with it! Becca is a brand that never fails to impress me! My love for the Backlight Primer Filter is well documented throughout my blog. And this foundation pairs perfectly with that primer. To give me glow like no other. This is formulated with water and this translates in the formula, it's so watery, which makes it easy to blend and very hydrating. Again this stays put on me all day. A great foundation, that ticks all the boxes! My only issue with this foundation is the pipette applicator, I hate them! If this had a regular pump it would be a 10/10 for me. So my first dabble with Tarte didn't go too well. While this foundation is ok, I don't love it and I don't find myself reaching for it. First is the annoying pipette applicator. I also found the foundation too thick for this type of applicator. But the foundation itself isn't overly thick just be suited to pump. I also found the finish to be more matte than I tend to like. But with a glow-y primer it looks a lot better. The coverage is medium. But it just doesn't sit nicely on my skin, I can't quite put my finger on what it is. I just have other foundations I much prefer. I think people with oilier skins would like this better. This stuff is like cement! It really does have incredible staying power. 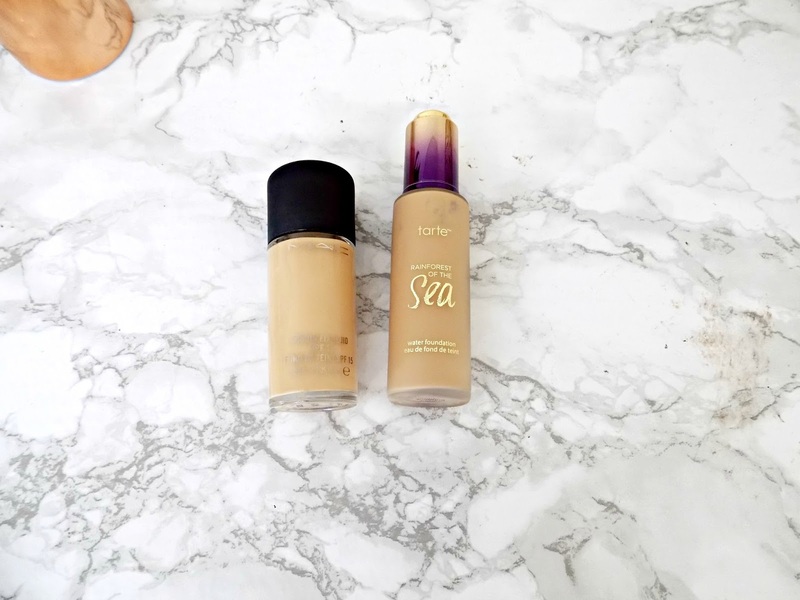 The formula is surprisingly watery for a foundation that has really good coverage and lasts so long. But these days I just find it too drying for me! It looks so dry on my skin. Again I see oiler skins liking this more. This has to be one of the biggest disappointments I've brought. This is so hyped up, everyone seems to love it. Don't get more wrong, this foundation is ok. But at £30 quite frankly not worth the money. I didn't find this was undetectable as it claims at all. You can definitely tell I'm wearing foundation. It also didn't sit well around my nose, despite blending like a crazy person! Like I said this isn't worth the money! This is about as magic as I am. And I assure you I'm not! This claims to be a full coverage foundation that suits all skin types. I used every way possible and the only way to make it look good was to apply a whole ton of cream products on top of it, which kind of defeats the purpose! I never had a problem with my pores until I used this, it exaggerates everything I want to hide! So for that reason I avoid this! 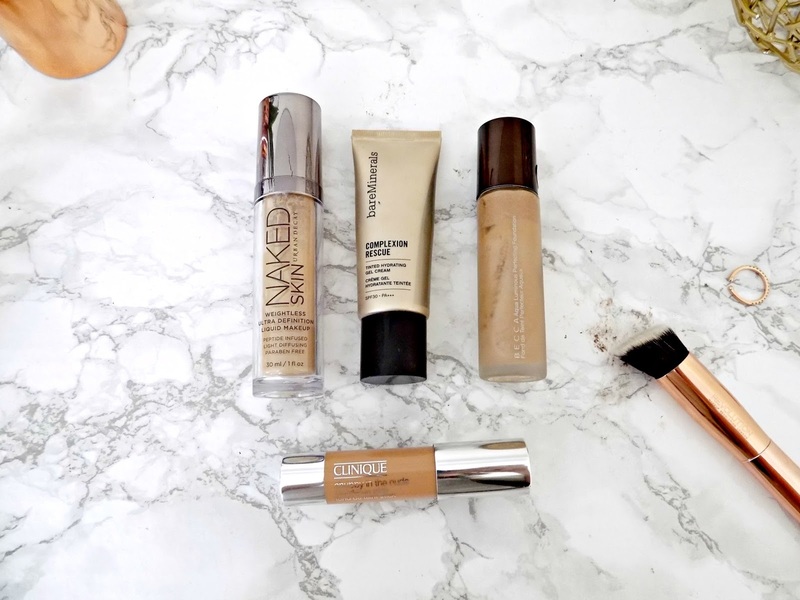 So there's a little round up of some high-end foundations. 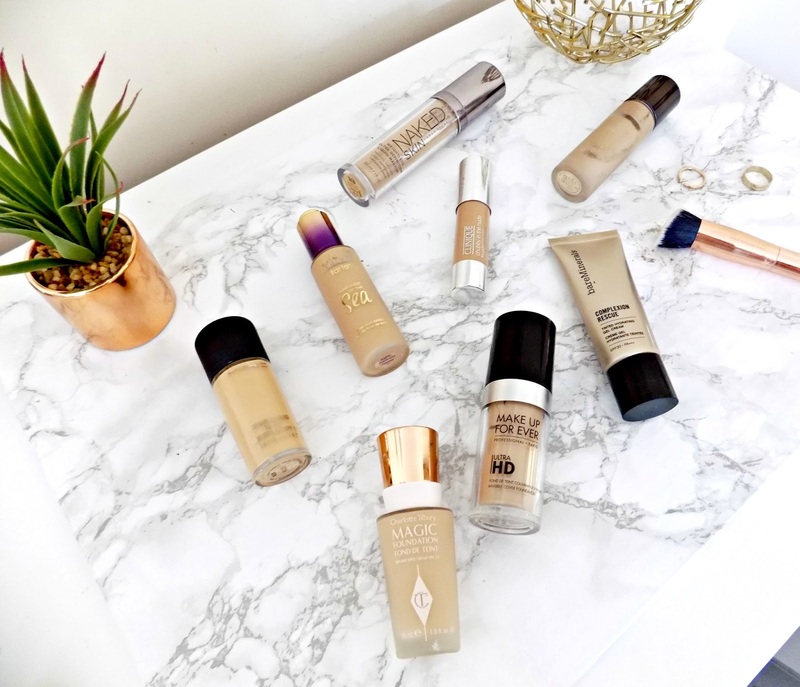 What are your favourite or not so favourite foundations?